Roger Bernadina and Seth Bynum teamed up to get Syracuse's offense going in the third inning. Bernadina knocked a single to right to get on base with one out. The leftfielder then tried to steal second, and Red Wings catcher Rene Rivera's throw attempt sailed into the outfield, allowing Bernadina to take third. Bynum tallied his 14th RBI of the year on a single to right, bringing Bernadina home to give the Chiefs their first lead. I leave you with this link to Ben Goessling's post about the Shark getting sent back down: Nationals send Roger Bernadina back to Triple-A Syracuse. He makes some good points about The Shark not getting playing time unless Riggleman takes some at-bats away from Ankiel or Morse and he still has hope for Matt Stairs. The real reason he wrote this post is to ask this question at the end, and this is an acual quote, not made up: "I'd also love it, just once, if somebody can give me a logical explanation of the Sharkadina thing"
Feel free to send Ben a tweet at @masnBen telling him why Bernadina is The Shark and why he should be on the 25 man roster. Jason Marquis was sharked out of his mind tonight against the Giants! Up against arguably the best pitcher in baseball, The Nationals, led by Marquis outdueled The Freak and cruised to a 3-0 victory. RicK AnKiel (now batting .215) didn't contribute, but Laynce Nix helped out, by hitting a 2 run jack. Meanwhile, The Shark hasn't returned to the Syracuse lineup yet, and the Chiefs lost again. Without him, they have now lost six straight games. 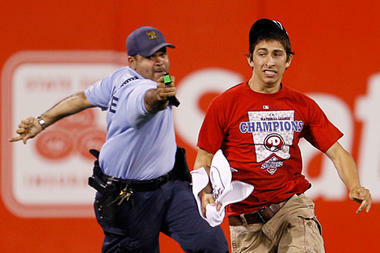 What doesn't make sense to me is that he's not on the Nationals nor the Chiefs. WHY ISN'T ANYONE BENEFITING FROM THE SHARK!? Yesterday: Daddy Desmond, proud new father of Grayson Sharkadina Desmond, took some tips from The Shark before returning to the lineup and it showed with his triple/homerun performance. While the Nationals did win the game 4-3, everyone was still bitter with Jim Riggleman for demoting the Shark, and shunned him throughout the game, with Alex Cora subbing in as Manager. They ended up winning 4-3. Andre Ethier is acting very Shark-like these days, extending his hitting streak the 24 games. On the Nationals side, Matt Stairs has extended his hitless streak to 17 games this season. In an interview, a visibly upset Stairs stated, "I get it! I'm not the Shark! But my mom won't let me quit the team! I HATE THIS! Pleeeeeaaase let me go Tom! PLEASE!!!" It began to get really uncomfortable when he got on his knees, grabbed the reporters pants and wept for several minutes. 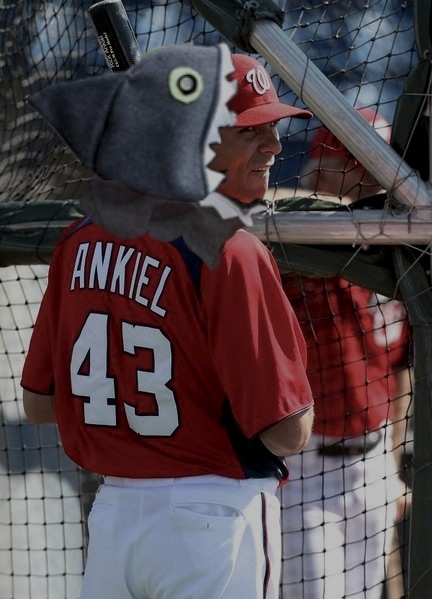 Breaking News: Nationals owner Ted Lerner admitted today that he allowed Rick Ankiel to be signed because of the fairly convincing Shark impression Lerner saw Ankiel do a few years ago (when he was still good...). Apparently you can draw a picture of Roger Bernadina with the number 4. Awesome! In an unexpected turn of events, Roger "The Shark" Bernadina was optioned back to AAA today and the entire Atlantic Ocean went crazy. Thousands of sharks, squids, and whales formed a blockade along the eastern seaboard, wreaking major havoc in the shipping lanes. 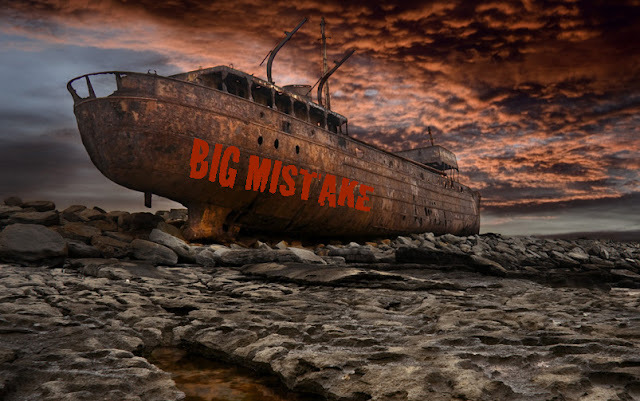 Reports of ravaged boats turning up on the beach with "PROMOTE THE SHARK" and "BIG MISTAKE" scrawled on the side, are coming in rapidly. So far there have been no known casualties but several hundred remain missing. - Said a basking shark who asked to remain anonymous, "If The Shark ain't back with the Nats soon, this sh**k is gonna get real!" - An elder walrus, named Herbert, arfed, "They kept Stairs? What the f**h?! He's older than Poseidon himself. I watched him cross the Atlantic with Columbus. Come on!!" - One sad little seahorse holding an autographed Bernadina baseball cried, "Why would they do that to my hero?" Admiral Anidan of the USS National has been quoted saying, "Never in history has there been a battle between humans and nature as epic as this. To be honest, I'm scared to death. They've taken out three of our Carriers." Huge Shark fan Barack Obama has already sent a plea to the Nationals organization, but has heard nothing back. 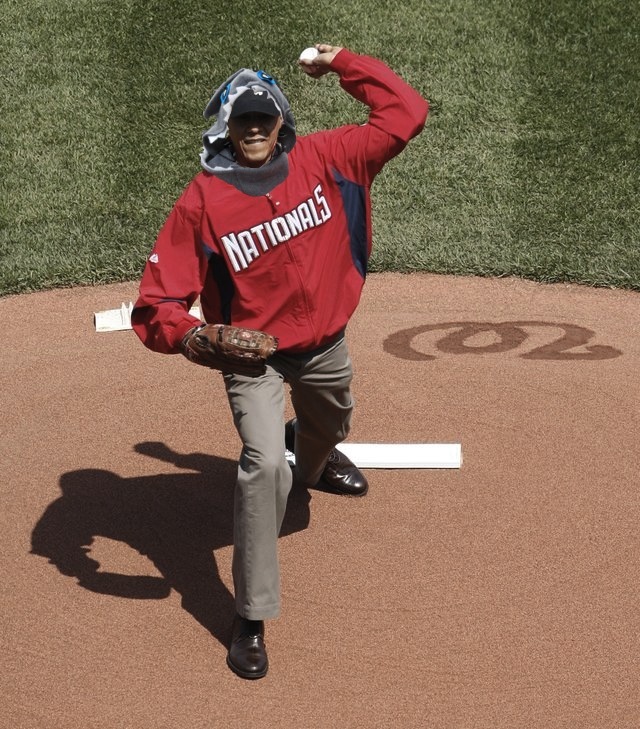 I can only hope for the world's sake that the Nationals recall Roger Bernadina soon. In this already stricken economy, nobody needs or wants to deal with an ocean full of furious fish. 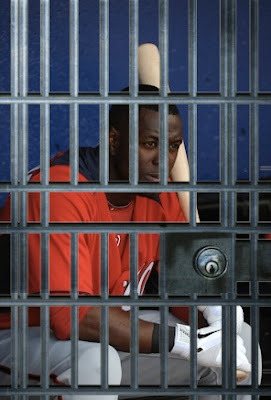 Nationals, do the right thing. Promote the Shark! As promised, here is my full recap of meeting Roger Bernadina and becoming Fan of the Game. A heads up to our regular readers (or just lone reader?) this post is longer and more sentimental than our normal, satirical fare. Zac and I arrived at the stadium early in hopes of meeting Bernadina down by the field prior to the game. The Fan Photo takers swarmed us like sharks descending on their prey and we happily posed with our Shark sign. After that, I was approached to be filmed for Fan of the Game. Terry was filmed at the April 2nd game and then he didn't get on the screen (they went with little kids). I was approached at the April 14th game but right before he filmed me, the voice in his headset told him they had all they needed. This time was different. I used all of my Shark moves in front of the camera- chomping, jumping, and swimming my way to certain victory. 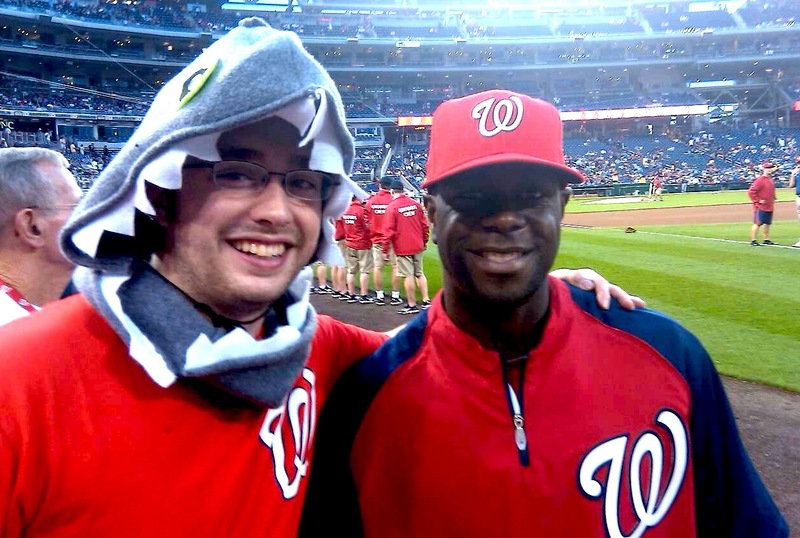 Sure enough, in the 5th inning when Fan of the Game was up on the Jumbotron (video), Nats Park cheered for me, and by extension, The Shark. To be fair, the odds were stacked in my favor as the other two contestants were not super hot girls or cute little kids. After having some hot dogs and beer, we went down to our seats. On our way there we heard a call of "Sharkadina!" It was "Jorgath" and "sweetpearacer" from one of the biggest Pro-Shark sites out there: Federal Baseball. They complimented Terry's Photoshop skills and we chatted for awhile before the rain started coming down and we were forced back to the concourse. There we met a nice couple, "Whiskey Dave" and his wife, who are also big Bernadina fans. 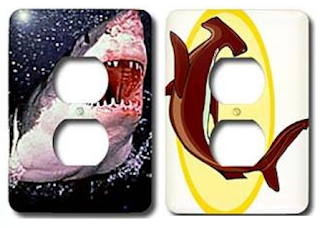 The more people I talk to, the clearer it becomes that The Shark really is a fan-favorite! Once the rain stopped we headed back down and I kept my eyes locked on the dugout for any sight of a dorsal fin. I saw it rise above the surface and we lifted our sign into the air like a beacon. He saw us immediately (obviously using his Shark-sense) and started to walk over. Zac and I navigated the waters of section 135 and made it to the fence in record time. We shook hands, posed for pictures, and talked about how we hoped he would be in DC for awhile and how much he likes the blog. That was about all we got in before other autograph hounds elbowed in to meet the most Jawesome player in the league. 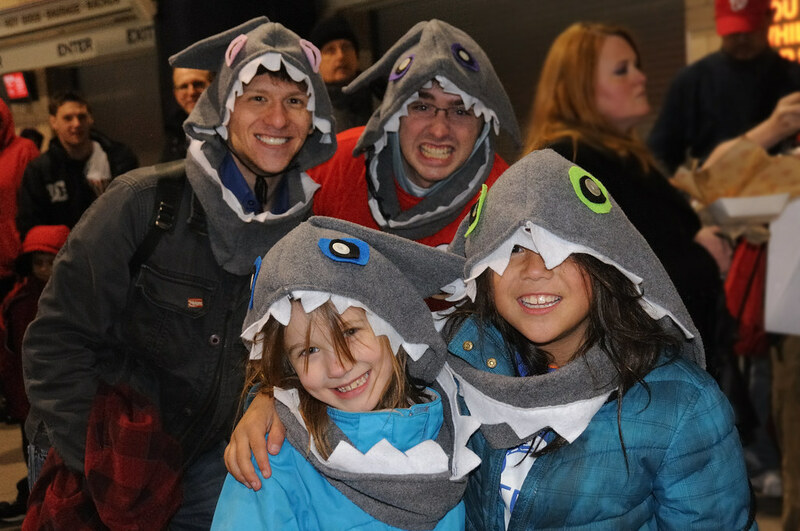 When Terry and I first wore the Shark hoods and made the sign on a whim last August, I never could have imagined that eight months later we would have a popular(ish) blog and that so many people would adopt our nickname and use it online and at games. I definitely didn't expect to have the honor of meeting my favorite player. I hope it is the first of many meetings and hope they will continue once Terry gets back to DC next month. It really was an awesome experience and we were on a high for the rest of the game. 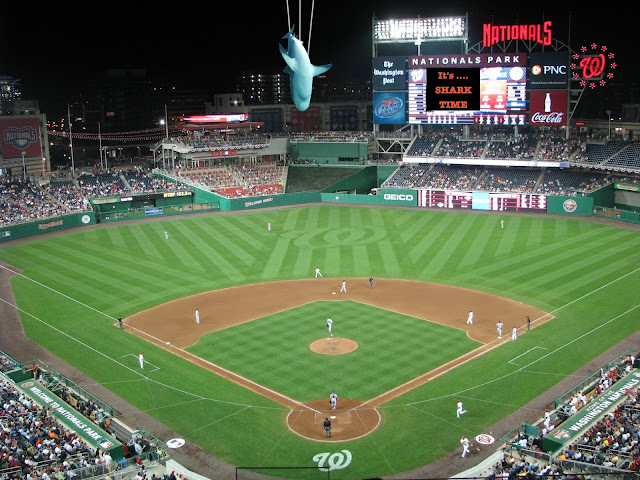 The Nats played a great game (if you ignore the top of the 9th inning) and The Shark had a single and a double! He also had a great dive that came up inches short from catching a fly ball in left. That play proves he is one of the speediest, most athletic outfielders in the league (certainly on the Nats roster) and why he first earned the "Shark" name. 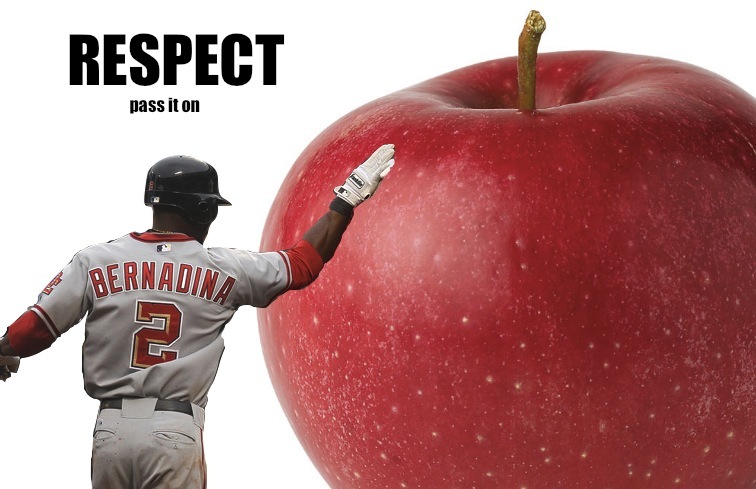 We are obviously really big fans of Bernadina at this blog, and in all fairness, I wanted to link to this great article by Patrick Neuman at the Examiner discussing Bernadina in the larger context of the Nats organization. 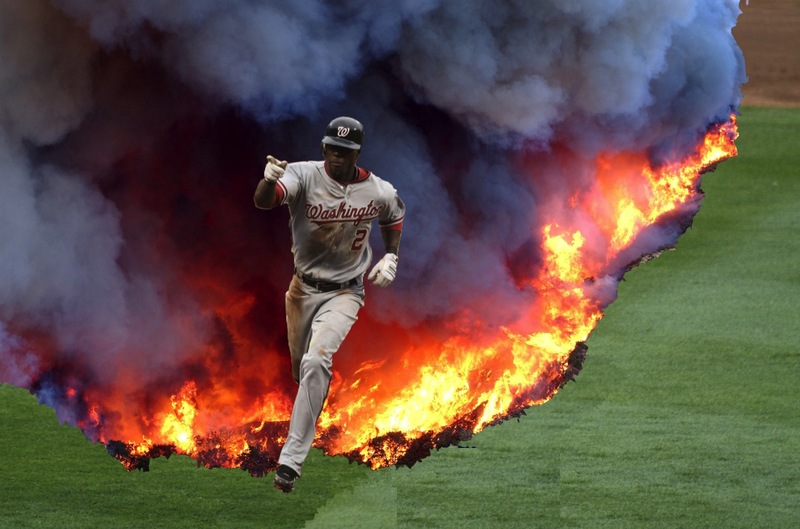 He says "If Bernadina catches fire this season (most likely after returning to Syracuse this weekend), the Nationals would be very happy and could start envisioning a solid outfield lineup." Not only would the Nationals be very happy, but The Shark and his fans would too. Tonight was the night that everyone has been waiting for.... (Everyone, even you sir, ye who has never read this blog before). 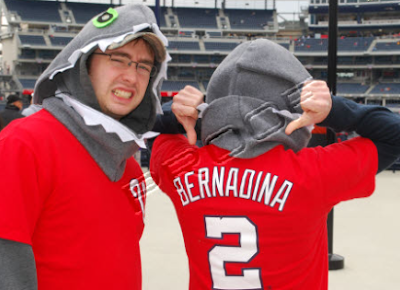 Roger "The Shark" Bernadina was back with the Nationals at last! It was a fine spring evening in Washington and a beautiful night for baseball (I was fortunate enough to follow the game on my phone in the basement as tornado sirens wailed). From what I saw, the fans could feel the buzz in the air... The Sharkplug was back and it was to be a night to remember. Then, something changed. The Shark took over for Mako in left field after a bunt single to start the 9th. From that point on, the Mets clearly feared hitting the ball in the outfield, lest they be eaten. Sadly, they didn't need to get the ball out of the infield to add a run. For whatever reason, Sean Burnett (probably in a strange and pathetic attempt to impress the Shark) hit two batters, and allowed a run on a groundout leaving the score 6-4. The Shark was helpless. In the bottom of the ninth, Bernadina did get an at bat, but because David Wright was doped out of his mind on "Black Magic" and happened to raise his glove hand just as the ball was coming, the Shark went unrewarded in his debut. To all those who doubted me when I claimed Bernadina was being promoted, "Shark it!" Bernadina jumped from an airplane at 30,000 feet. All of DC felt the impact, especially Jose Reyes who was badly burned. The Shark appeared, pointed at the Mets bench and mouthed, "I'm back." All in all, the night had it's ups and downs. Let's hope The Shark gets the start tomorrow so he can shred the Mets like fresh grated Parmesan on piping hot Spaghetti Carbonara in a microwavable safe Tupperware. Well, anyway, we need to enjoy this Sharktime while it lasts. Our own Sharkadina is still out of town, but I (Tyler) will be there tonight in Shark attire to welcome him home. I hope he can get a couple of plate appearances and show the home town crowd what he is made of and prove once and for all, the ShAAArk is no more! Read Goessling's take here. He call's Bernadina the "safe choice" to get called up. 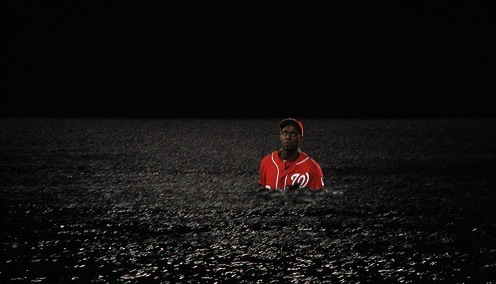 While he may be safe, the Mets and Chris Young have suddenly found themselves in the most dangerous place in the country- a Shark infested Nats Park! I'm not sure if the Shark celebrates Easter, but he showed up at the plate for the holiday. The Shark went 1 for 4 with a double and a run scored. Despite the Syracuse Chiefs dropping the 3-2 game to the Yankees, Roger Bernadina accounted for a fifth of all the Chiefs' hits. The Chiefs need to break out of this hitting slump if they want to win some games. The Shark can't do it himself (well, he can. But you shouldn't make him)! With the Nationals/Pirates and the Chiefs/Yankees games rained out, it was a sad day in Sharktown. Not really. It was probably beneficial to get a extra day of rest after the shutouts on Thursday. 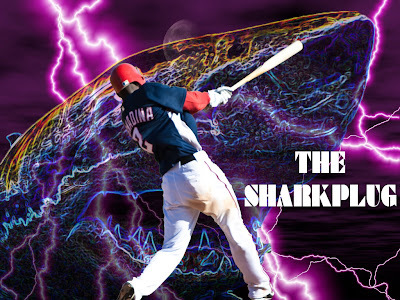 The Shark will return today, strong and ready to destroy the Scranton/Wilkes-Barre Yankees (What a ridiculously long name for a minor league baseball team's town's name). 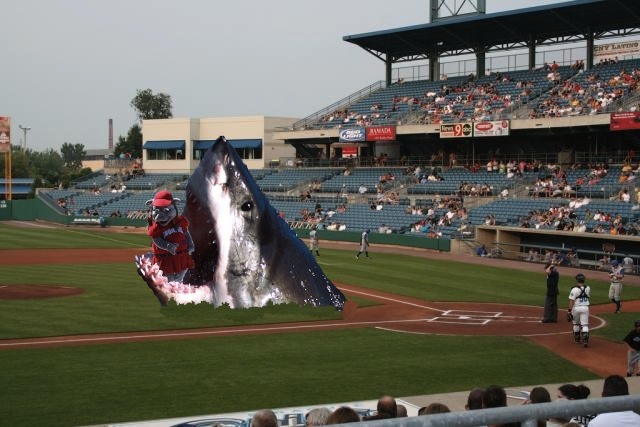 As yesterday's game was rained out for Syracuse, the Chiefs will play a doubleheader, meaning it will be double the pleasure for the Shark. He's gonna turn Scranton/Wilkes-Barre into fish chum, making a mess out of the team. I didn't want to make the picture to bloody. Billboard though? Hmm.. In an effort to keep this blog up to date, and to try something new, I am going to update throughout the day, so keep checking back to discover how the Shark is doing up to the minute. Like I said earlier, Syracuse had two on the vine today. They lost the first game 4-2, because the Yankees has drugged Bernadina (who went 0-3) to the point of exhaustion. He recovered in the second game to bat a smooth .500, with a double. He bit the Yanks apart, like the picture shows, and tomorrow, I expect more of the same. That said, I will be spending time with the family tomorrow, so post will be short...if existent. Sorry, lone reader. What does this mean? What does this mean!! Meanwhile, in Pawtucket, the Chiefs lost 14-0. No, you didn't misread that. Fourteen to zero. FOURTEEN!?!? WHAT?? Garrett Mock was pretty much a complete disaster, walking 7 batters, and allowing 8 runs in 2 innings... Yikes. 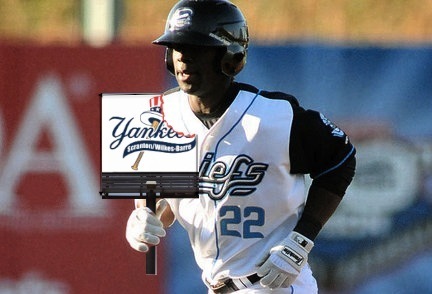 Roger Bernadina went 1 for 3 and now has a four game hitting streak. 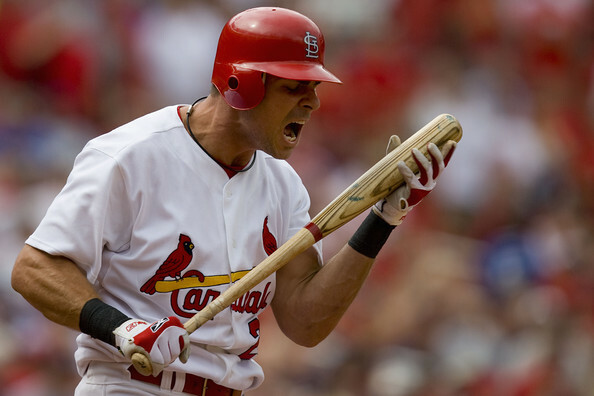 Also, he is now batting .290 on the season (69 points higher than RicK AnKiel). He was the lone bright spot that was otherwise a Supernova of a disaster of a game. Then, after the game, he devoured Garrett Mock. It's time to get Bernadina back to where he belongs because Nationals + Shark = Winners. 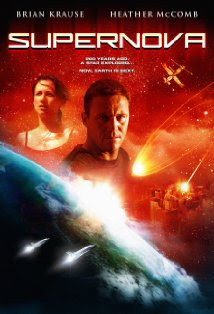 The lone bright spot of the day is that I finished watching Shark Swarm. 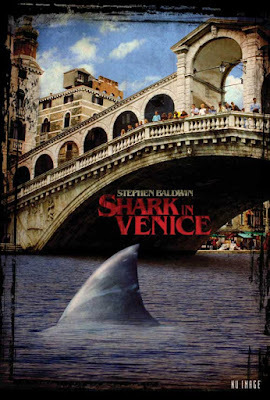 Because SyFy uses CGI to create the sharks, it was starting to look like a triple shutout as Roger Bernadina was no where to be seen! Then boom went the dynamite and the Shark appeared in his full glory suddenly making the movie something watchable. I later felt like a complete idiot when I saw the DVD cover. Of course Bernadina was going to be in the movie! While the Pawtucket Red Sox may have won yesterday's game against the Syracuse Chiefs, the series is far from over (and by far from over, I mean 2 games left as of Tuesday night). Yesterday, The Shark went 1 for 4 in the 5-1 loss. He was stranded at second base in the eighth inning with the tying run in the on-deck circle. 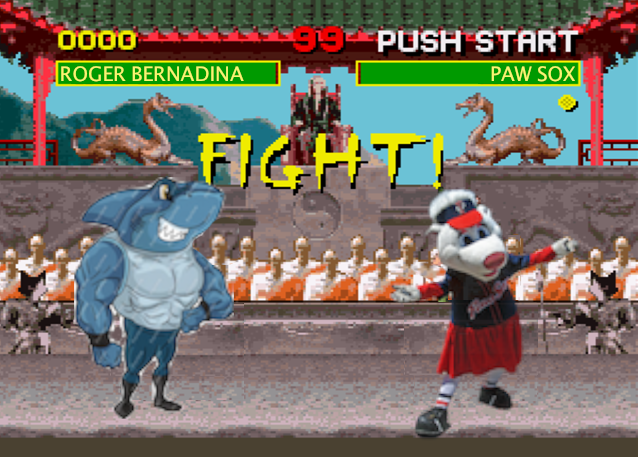 Game 2 was tonight, with the Shark and the Chiefs seeking revenge on those bizarre bears in skirts. Bernadina followed a Brian Bixler single with a double to start the game. Bixler scored on the ensuing sacrifice fly. Sadly, the offense was stalled there and the the Chiefs fell 3-1 to the skirted bears. Good news: the Shark hit for half of the Natural Cycle (hitting a single, double, triple, and home run in order) between the last at-bat of Monday's game and the first at-bat of today's game. After the game, there was an umpire-only meeting regarding the outcome as something did not seem right. A team with the Shark does not lose 4 games in a row. 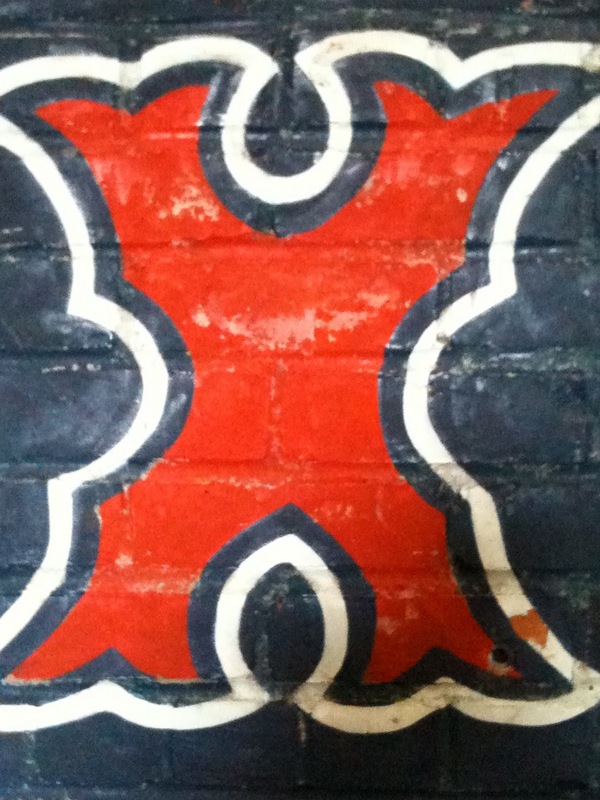 A look inside the PawSox clubhouse revealed that their intuition was correct. 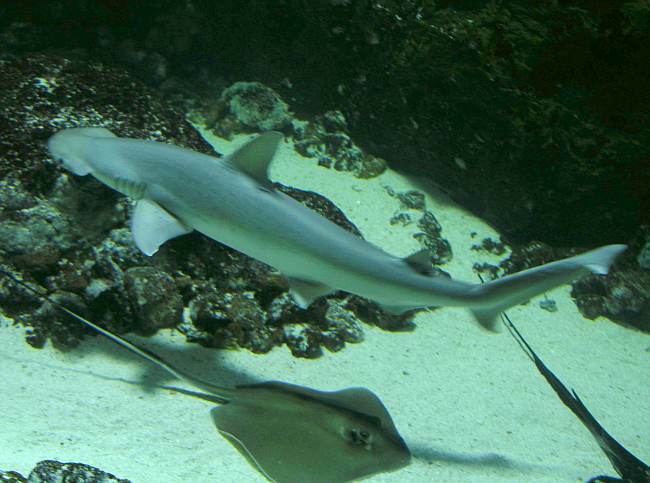 APPARENTLY, knowing that they were facing The Shark, the Pawtucket team had secured several BlackTip Reef Sharks in order to harness their magic. The act to obtain this "Black Magic" is too disturbing to describe but it involves several jars of mayonnaise. Apparently, the PawSox had used the magic in both games. Needless to say, the "Black Magic" was confiscated, and Bernadina himself swam the sharks back into their natural habitat in the South Pacific. The series with the she-bears continues tomorrow at 6:15. Without the "Black Magic," the Shark has a fresh chance to devour the competition (although goofy-faced non-magic bears, wearing red kilts, hardly seem like competition). The Nationals, meanwhile, kick off a series against the Cardinals in St. Louis tonight. We have all seen what the Shark can do against the Cardinals (I might watch that video 10 times a day for inspiration). I'm intrigued to see what they will be able to do without him. At the time of this post, the Nationals game is still delayed because of rain (RAIN DOESN'T AFFECT SHARKS). Update: The game has been postponed. Another doubleheader tomorrow (second in 4 days)! 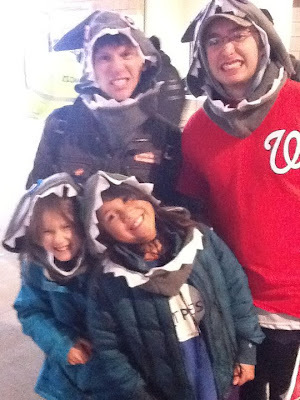 Finally, I would like to thank Let Teddy Win, a brilliant blog about the spectacle that is the President's Race at Nationals Park, for taking and uploading this sharktacular photograph of the Sharkadina family from NatsFest 2011 (run-on sentences rule!). 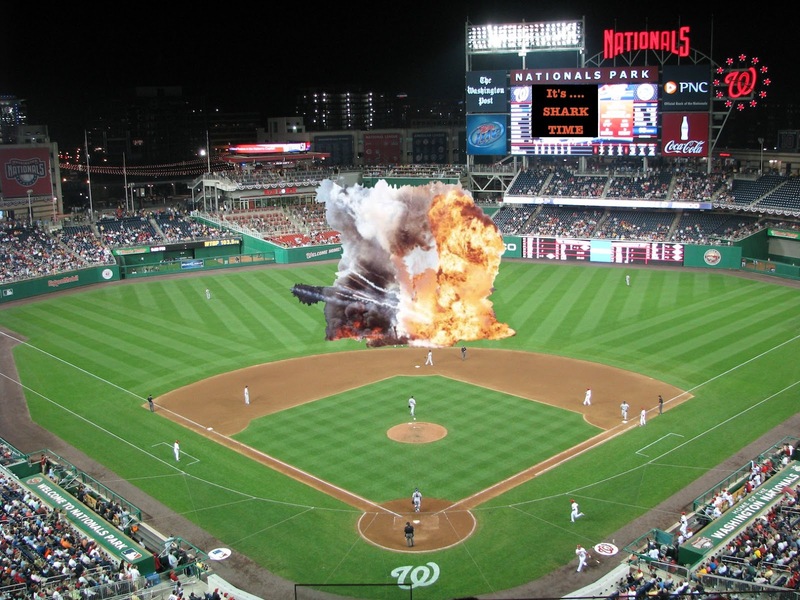 If you are interested in another novelty aspect of the Washington Nationals, check this blog out, you won't regret it. Hello Shark Fans! 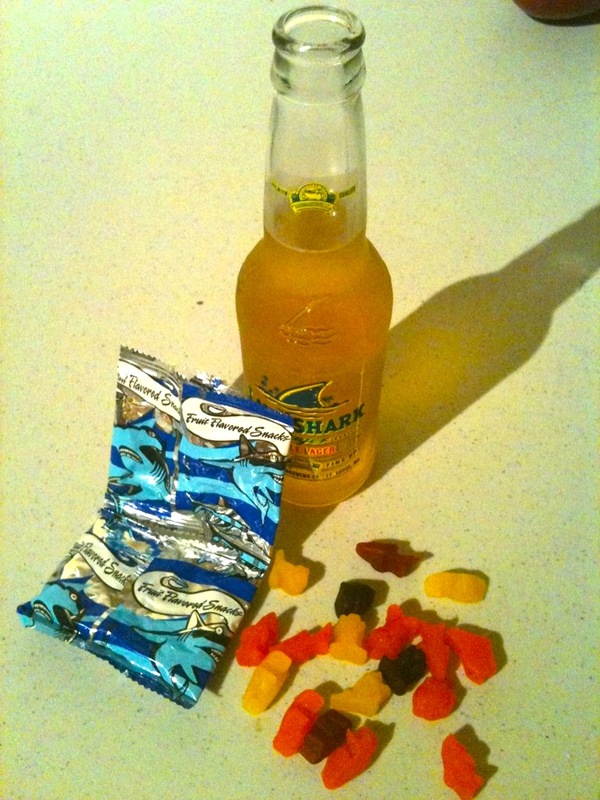 While Sharkadina is out of town, I am busy holding down The Shark fort here in DC. 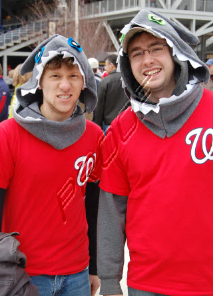 I attended the vital "Save Nats Park" April 14 game with Jumpin' Zac Flash where we valiently fought off hordes of ugly Phillie fans to show our support of the Nats and The Shark. I also had tickets to see my home-state team the Milwaukee Brewers on Saturday and Sunday. As we all know, Saturday got rained out so the Nationals played a double header yesterday. I went with "ElizaShark" and we enjoyed the first game and the start of the second game in perfect baseball weather. I'm so glad that Espinosa is now batting lead-off. 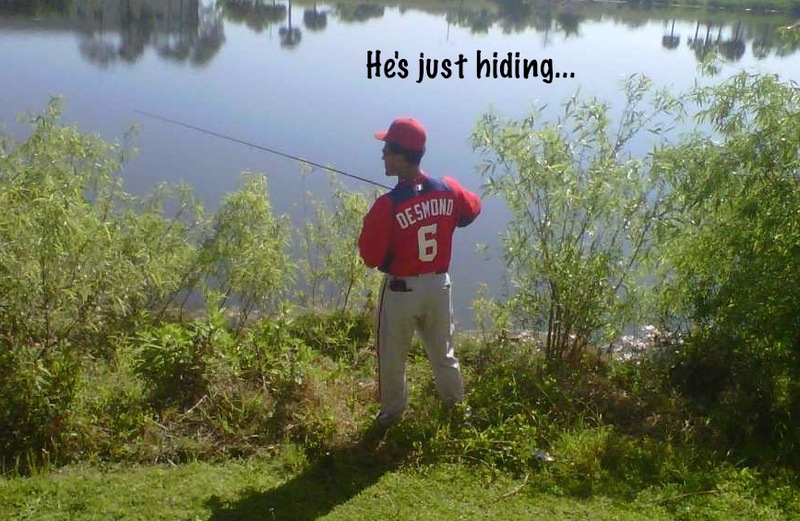 Desmond's slump has been especially frustrating because I inexpliciably drafted him for my fantasy team. The other frustrating thing is how AWFUL Mike Morse is playing. It seems like he "jumped the shark" when they named him everyday LF two weeks into Spring Training. For all the emphasis that Rizzo placed on defense in the off-season it is hard to see that on the field (especially the outfield), but Adam LaRoche has made some sweet plays at first that Dunn could never pull off in a million years. 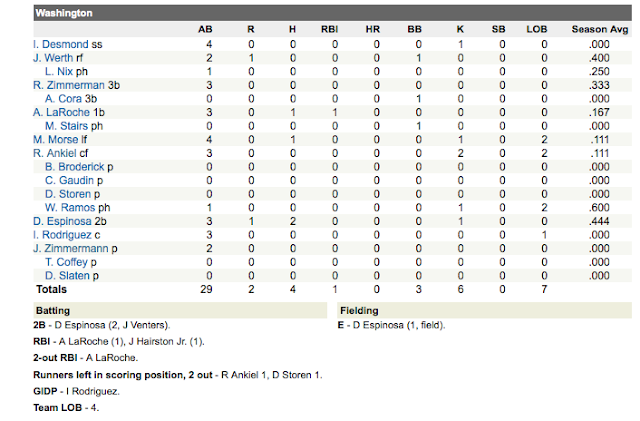 For as much as I HATE the Phillies (and their fans), Cliff Lee pitched a great game Thursday night. What was even more impressive was J-Zimm hanging in there with him through 5. 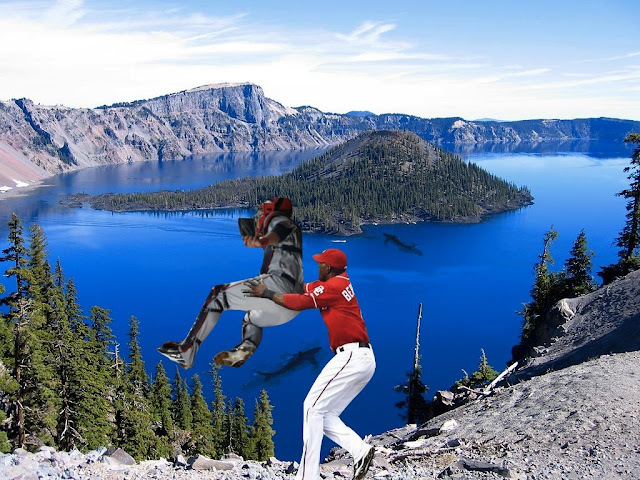 I will yell "Bring Back Peaches" every time Clippard comes out of the bullpen. Regardless of a crappy warm up song, he sure is looking great on the mound. I cringe when Slaten, Gaudin, or Broderick come out. The first game on Sunday was one of the most fun I've been to at Nats Park- I think a combination of the weather and the double header increased attendance. The Nats brought their offense and really got the crowd going! Finally, I am still holding out hope that the Shark will be called up soon. If he keeps doing well in Syracuse and Ankiel, Morse, Nix, and Stairs keep disappointing, it is only a matter of time. 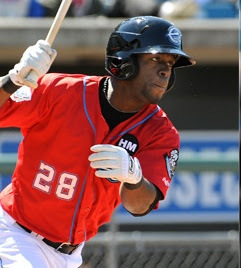 If you remember from a few days ago, today, April 13th was the day that I predicted that Roger Bernadina would be called up from the minors (I guess I can't dig it...). Sharkboy oh boy, could the Nationals have used The Shark tonight. 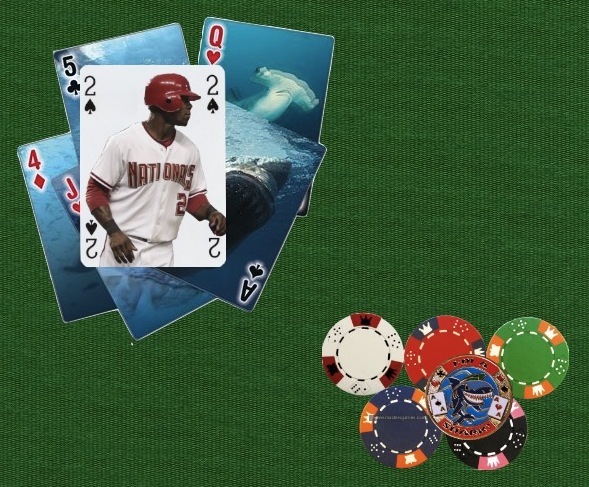 After getting shut out 8 innings by the seemingly immortal Roy Halladay, the Nationals summoned the spirit of the Shark in an attempt to once again stun the Phillies. Unfortunately, after scoring 2 runs, to pull within one run of tying, Matt Stairs (still batting .000) and Ivan Rodriguez (say it ain't so Pudge) struck out to end the game. That left the score 3-2 and the season series 1-1. The Shark's spirit can only go so far, friends. Interestingly, the Shark's 2011 season in the minor still has yet to begin. The game was "rained" out. (despite predictions of blue skies). My best guess is that the "rain" was actually the tears of the PawSox, who were too afraid to play and were praying that the Shark would be called up to the Nationals before the game. CONSPIRACY! Breaking news: Roger Bernadina was apparently hanging out on an Australian golf course. This article uses just about every shark pun ever... Still I would love to play golf here. 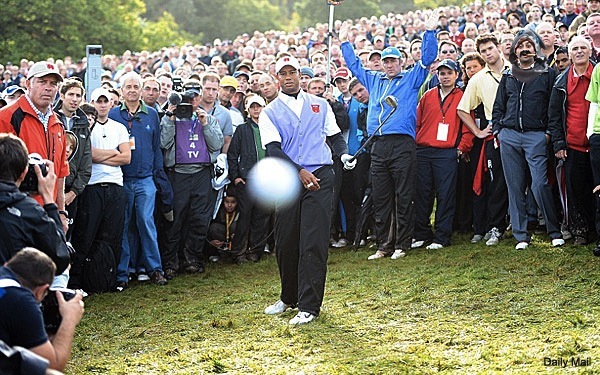 Chip it in the water, and say hi to the Shark! ...And then Washington remembered that they didn't have a Shark on the team. Jerry Hairston Jr. acted like a minnow in the Nationals Zoo, botching a ball hit directly at him. Nationals pitchers proceeded to give up 5 quick runs. Pinch hitter "specialist" rickety old (Matt) Stairs entered with 2 on in the top of the 8th, with a chance to take the lead, and promptly grounded out. He is now batting a cool .000. In his defense, he does have 3 walks, however, he has been an unsuccessful pinch HITTER so far this year. It should also be noted that Stairs grounded out against Francisco Rodriguez, a man whom Bernadina has batted .667 off, with a home run and 3 RBIs. On the Mets side, Carlos Beltran hit 2 home runs. When asked to comment on his power display, Beltran laughed and said, "Today I considered myself the luckiest man on the face of the earth. If the Shark-man was playing, I would have gone 0-4. I know that, you know that. No reason to hide the truth." Finally, there is still no sign of the Shark in Syracuse. The Chiefs surprisingly won 2-1 without the Shark. Everyone had sharked up before the game The one highlight of that game was Boomer Whiting, who, when called to play CF, appeared in majestic fashion, decked out in authentic Egyptian pharaoh garb. and scored the winning run in the 10th (as the pitcher refused to throw anything near him). Somewhere in the middle of the ocean, Roger Bernadina rolled his eyes. Of course, The Shark would never help out an opposing player and he denied Manny's request. Manny was not only upset, but realized that he, as a mere Ray, would never be able to compete with the fearsome Shark. So, it was not "performing enhancing drugs," but rather embarrassment and fear that drove Manny to retirement- which baseball player/sea creature will be next? In other news, Bernadina was still nowhere to be found today at the Syracuse Chief's game. 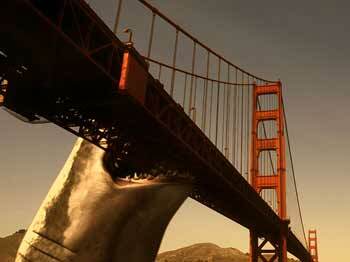 Maybe the Shark is taking a few days to take a vacation and see the sights in San Francisco? Or possibly hanging out with Stephen Baldwin in Venice? The Washington Nationals have a day to travel today before kicking off a series with the Marlins (without Shark assistance) tomorrow night. Since there are no Shark related conspiracies or terrible defensive alignments to report about, I'd like to take a moment to talk about what it is like to be a shark fan. Everyone is always asking us (no one has ever asked us) how to become better Shark Fans. "You guys are more popular than Justin Beiber," they say, "Jumbotron recognition thrice? Wowwww. How can I be a part of this amazing tradition??" 1. You have to at least kinda like the player Roger Bernadina and accept his nickname as The Shark. Voila, you are a Shark fan! Follow those simple steps to be the best Shark fan ever. Barack Obama is a Shark fan! He's afraid to admit it...but AnKiel is a HUGE Shark Fan! Can you spot the Shark fan in this picture? No matter what, Shark fans are happy fans! The Nationals appeared lost as they lost today during the rubber match of the Atlanta Braves series. Their 11-2 demolition had few highlights. RicK AnKiel followed up his 3 RBI game with an 0 for 3 game. (He did have the same number of Ks in the game as the number of Ks in his name...) The rest of the team didn't fair much better, however, managing only 4 hits total. Atlanta scored 8 of their runs in the 7th and 8th inning, which I suppose makes sense... because according to the Yahoo box score of the game (also seen below), no one replaced RicK AnKiel in center field. 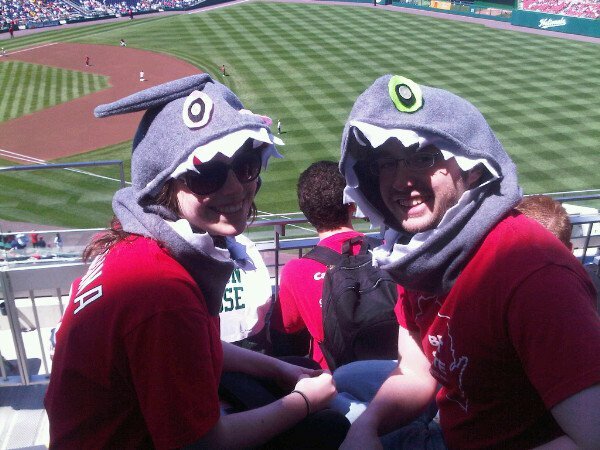 But honestly, if the Nationals are going to go with a 2 person outfield, one needs to be the Shark. Roger Bernadina would never allow the opposing team to score 11 runs. If it meant saving a few runs, I'd rather have 8 men in the infield and the Shark alone in the outfield. 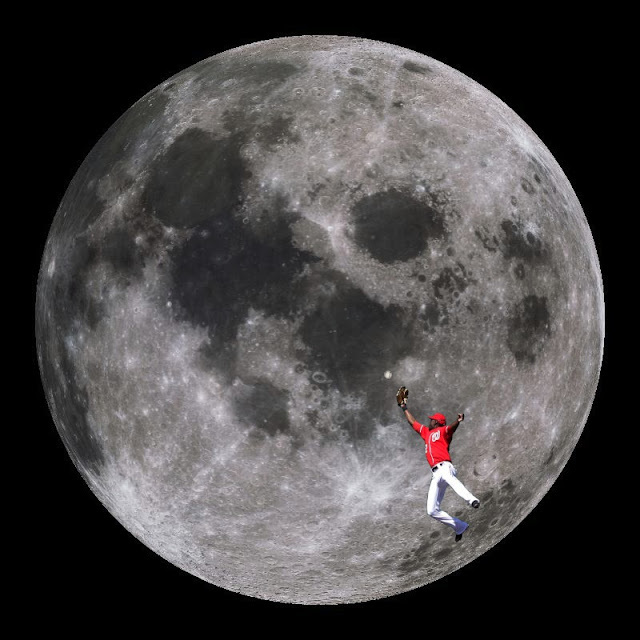 (For example, Alex Gonzalez's triple would have just been a long out) We all know he could handle it. In addition, AnKiel and Werth looked completely lost on a couple of plays. As they ran for fly balls hit to right center, they both could be heard shouting "The Shark's got it!" When it fell between them they just stared at each other bewildered and threw their gloves down Nyjer-style in anger, simultaneously remembering The Shark was sent to Syracuse. Also, Epsinosa's "error" was entirely the result of a bad throw by AnKiel. A Sharkless outfield is a sloppy outfield. "We are a non-traditional family of two male sharks raising two girl sharks in the big ocean of life. I smell a sitcom."